With the latest GT finally on the cusp of its global launch (and by 'global' we mean North America) Bentley has some spare time to consider the next item up its sleeve. 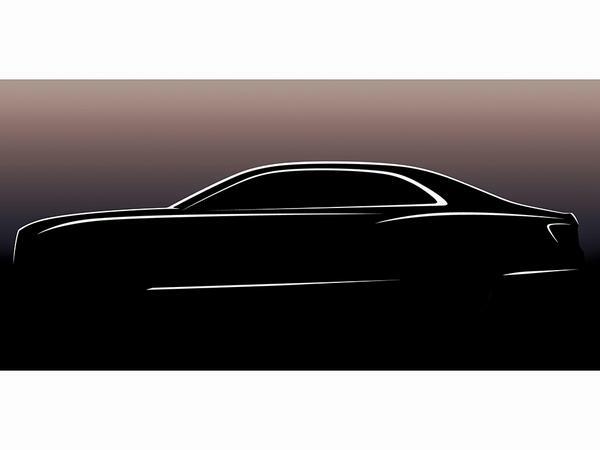 Cue the first glimpse of "an all-new four-door Grand Tourer" - or the Flying Spur, as it's otherwise known. Whether or not the model in question will actually retain that name remains to be seen. 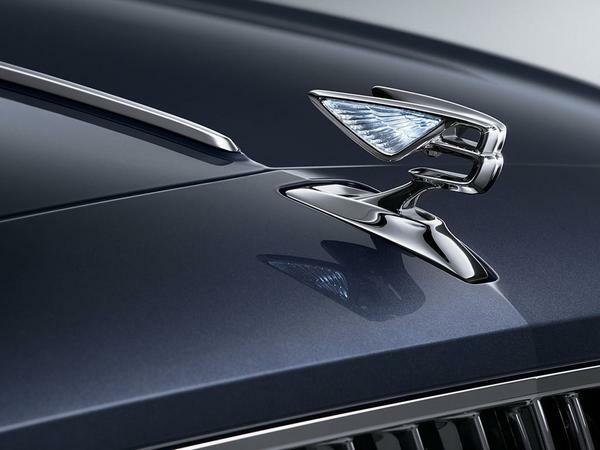 Bentley doesn't seem entirely sure itself given its preference for writing "all-new four-door Grand Tourer" everywhere (although using www.newflyingspur.com as the place for registering your interest seems fairly emphatic). The model's name has always been a slightly thorny issue for the brand. Bentley fans will recall that it was originally dubbed the Continental Flying Spur on the basis that it is (and was) a literal four-door version of the GT - until it realised that the association wasn't doing it any particular favours in the marketplace. Its replacement will be closely related to the new GT as well, although - on the basis of lessons learnt - Bentley will be working overtime to differentiate between the two, making a new name entirely possible. Certainly the profile of he-who-must-not-be-named seems swish enough from the rendering; much more so than the staid model it replaces. Expect the car to be more spacious than the model it replaces - on the basis that the GT was bigger than the car it replaced, notably in the wheelbase - and expect it to be conspicuously lovely inside, because all Bentleys are. Also anticipate it making its debut before the end of the year, when everything else will become clear. Hope it does not have the odd looking grill of the GT. This will be an absolute peach of a car. The sales have stalled since the Mulsane came out, add into this ya Mrs wanting a Bentaga the market for a blobby VW phaeton based car that looks like a mid 90s Chevy Caprice from the back is for people who would buy an Infiniti. Have seen a few of these on the lanes around where I live (Sandbach, down the road from Crewe). Granted these are the Camo'd up mules, but some show more details than others, from what I can see, they have carried a lot from the latest Conti and it looks good for it. Most impressive thing from when spotting these is how quick the driver and passenger can get out and throw a cover over the whole car when its sat longer than it should be (ran out of fuel and parked in lay by's). 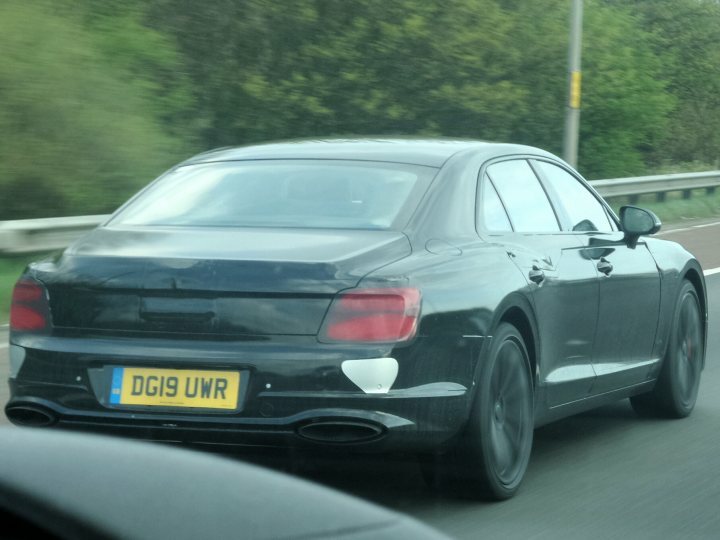 I have a few pictures of this in the flesh from 09/04 as it was making a trip up the m6, no camo on it just a few black stickers.